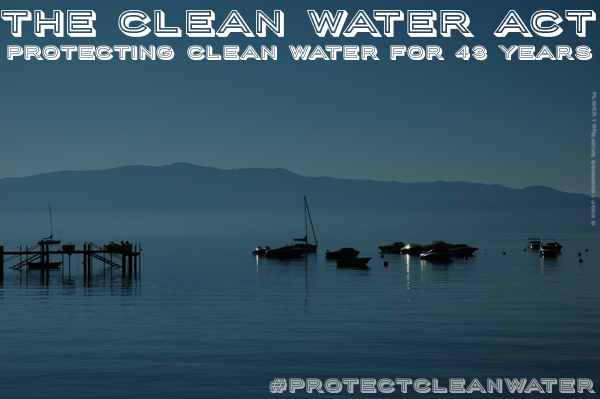 The Clean Water Act turned 43 on October 18. The Clean Water Act is something else. Its goals are straightforward – zero pollution into our waterways; making our rivers, lakes, and streams fishable and swimmable; restoring the “…chemical, physical, and biological integrity of the nation’s waters”. It also includes a revolutionary “citizen suit” provision which empowers all of us to act as watchdogs for our water. Clean Water Action has been there since the beginning – pushing to pass the law and defending it from polluters and their friends in Congress ever since. We haven’t reached all of the goals yet. But the progress we’ve made has been staggering. And the fight to #ProtectCleanWater continues. In celebration I want to share some reflections about the Act from Clean Water staff over the years.